SANTA FE – Five deer harvested in the McGregor Range area of southern New Mexico during the 2015-16 hunting season have tested positive for chronic wasting disease, the Department of Game and Fish announced. Hunters who harvested those deer have been notified of the test results. Forty hunters who drew licenses for 2016-17 hunts on the range will be notified and advised of procedures to present their harvested deer for testing. First discovered in New Mexico in 2002, chronic wasting disease has only been found in the state’s southern hunting units. To date, 42 deer and 8 elk have tested positive for the disease. Tissue samples were obtained from hunters who presented their harvest for testing, at check stations during hunts, and from the department’s live-capture efforts. Chronic wasting disease is a neurological disease found in deer, elk and moose which is fatal in these species. It belongs to a family of diseases known as transmissible spongiform encephalopathies or prion diseases. The disease attacks the brains of infected deer, elk and moose, causing the animals to become emaciated, display abnormal behavior, lack coordination and eventually die. It is recommended hunters avoid eating meat from deer and elk that appear sick or that have tested positive for chronic wasting disease. However, no known transmission to humans has been documented through the consumption of meat from an animal that has tested positive. The department has designated all of Game Management Units 34, 28 and 19 as Chronic Wasting Disease Control Areas. As the department continues to monitor the disease, hunters must observe special rules pertaining to the handling and transportation of animal carcasses. Finished taxidermied heads and hides. Hunters can assist the department in its chronic wasting disease research and tracking efforts by submitting deer or elk heads for testing within 48 hours of harvest at a field-testing station within a control area. Hunters who harvest deer or elk can submit heads for testing at any department office. Participating hunters will be entered into a special drawing for transferrable elk or oryx licenses. 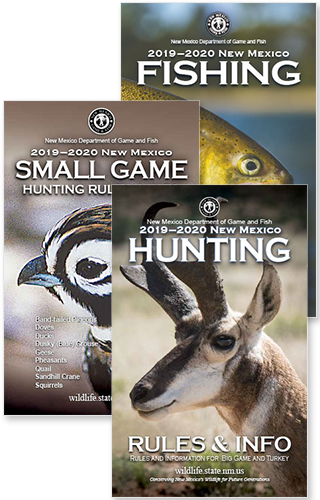 For more information about chronic wasting disease, the drawing, or a field-testing station location, please visit www.wildlife.state.nm.us or call the department at (888) 248-6866.